The 1980s were full of car lust and this was the ultimate car lust poster car. 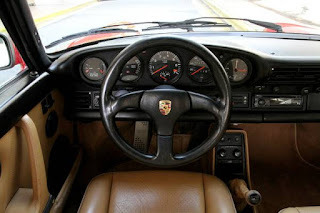 This continues to captivate car guys to this day. 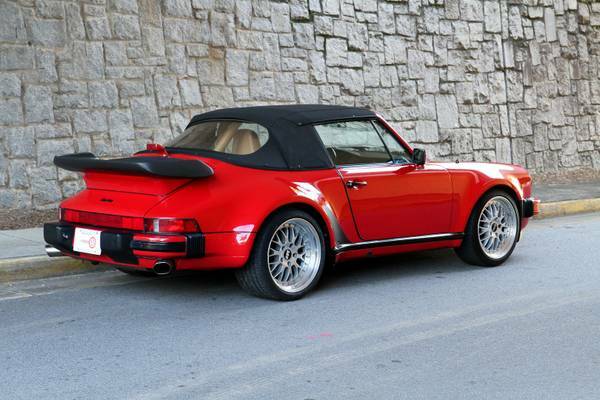 These beauties continue to stay out reach of mere mortals earning power. 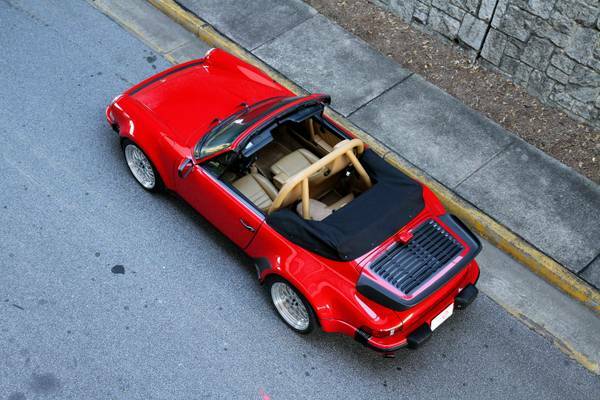 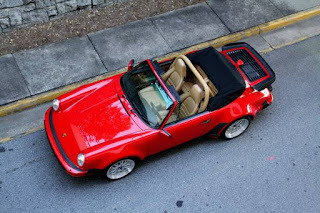 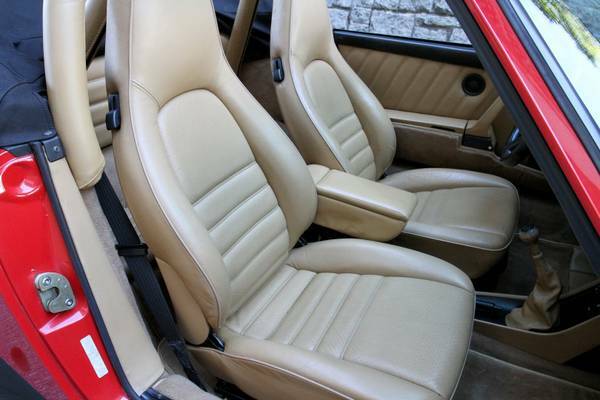 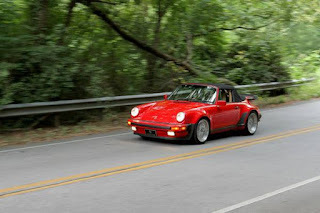 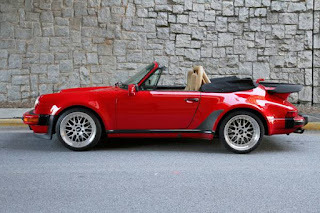 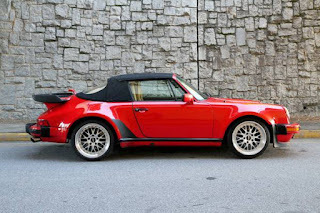 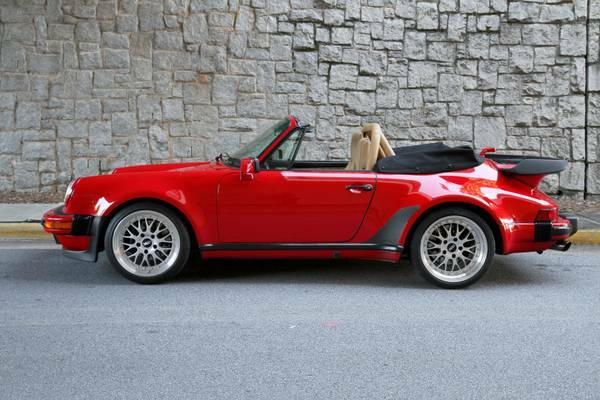 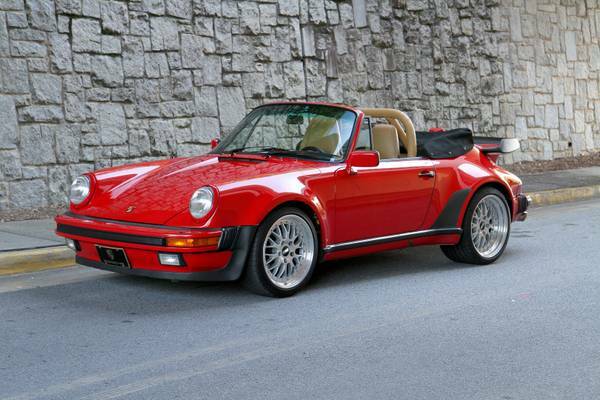 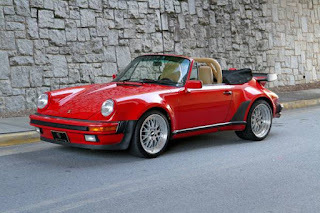 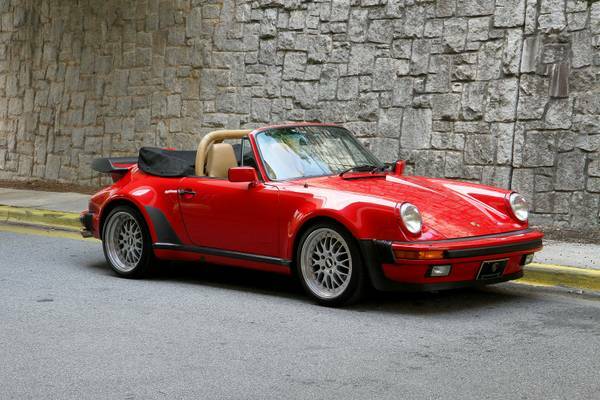 Motorcar Studio is pleased to offer this investment-quality 1989 Porsche 911 Turbo / 930 G50 cabriolet. 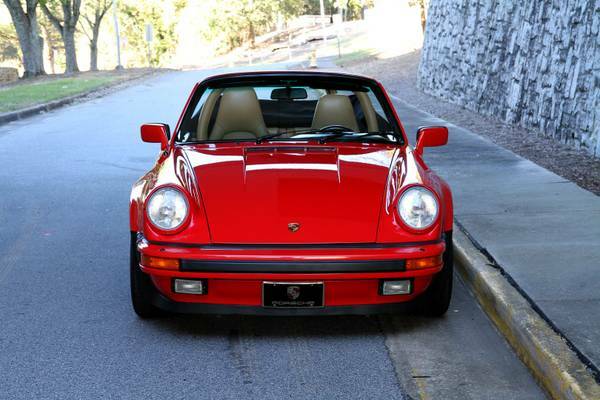 47k miles. No paintwork or accidents -- perfect CarFax. 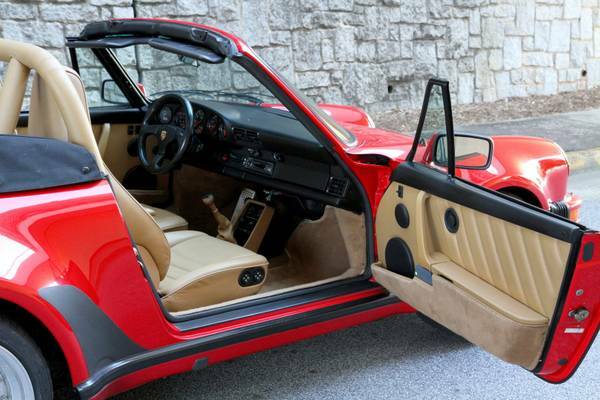 Guards Red over Tan with a Black top. 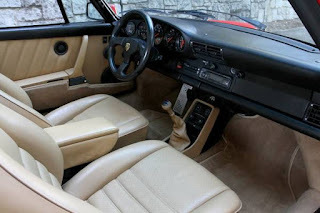 Shows beautifully and in keeping with its low mileage and garaged, easy life -- only a few tiny stone chips and very minor wear on the driver's seat and shift knob. 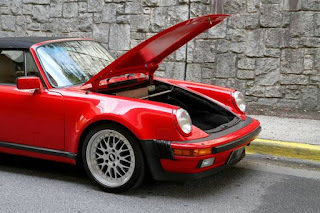 Good service records with all work performed by local Porsche specialists or the dealer. Upgraded intercooler, new turbo (K28), exhaust, Euro fuel lines and warm up regulator. 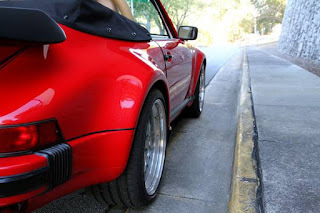 All original take-off parts are included; all records of work also included plus dyno / afm charts. 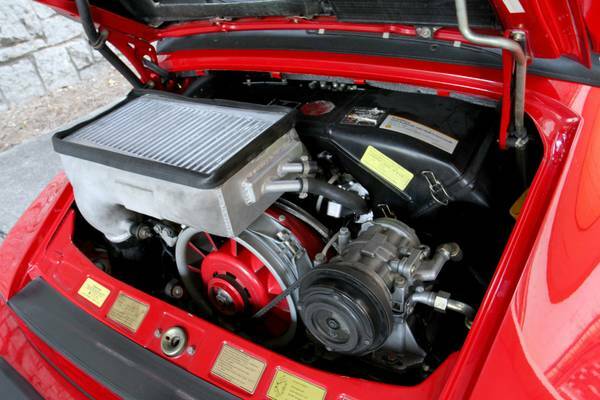 Service is up to date with recent full tuneup. Very civilized yet very fast. Nice 18-inch BBS wheels with ContiSports. 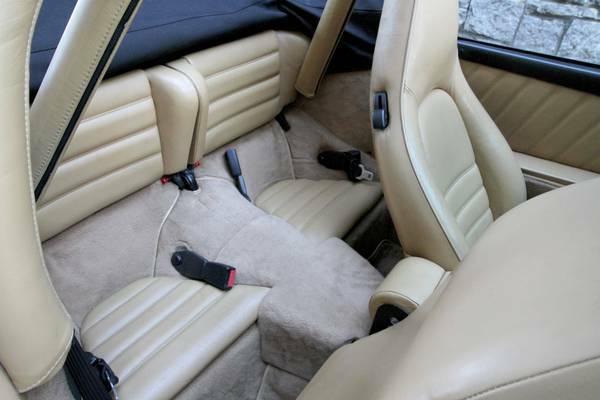 Leather-padded roll bar which we believe to be factory; Porsche part number 911-565-006-65. 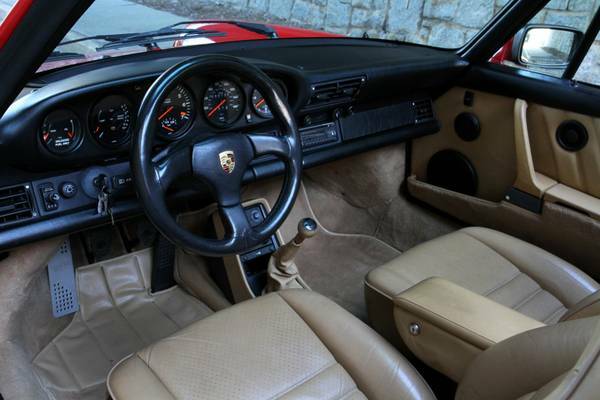 Also shipped with limited slip differential and short shifter according to option codes. 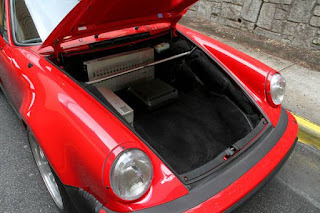 Original books, keys, air pump and tools. 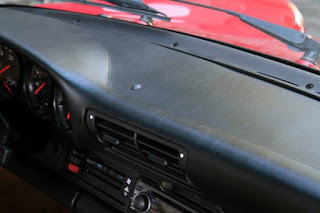 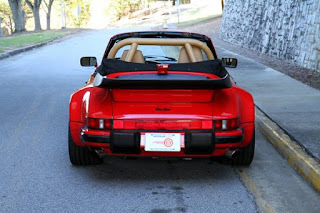 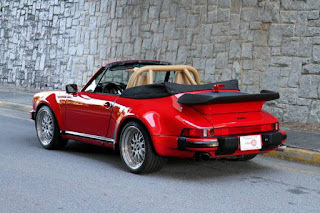 For more information on this 1989 Porsche 911 turbo cab available at Motorcar Studio in Atlanta, please call 1-404-692-5250 Tell them You Found This Car on AutomobileFinds.com.